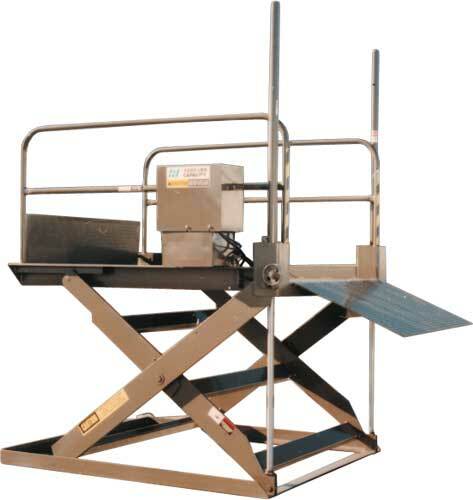 ECOA TAD Series Loading Docks are portable loading docks, designed for use wherever a permanently installed unit is not practical. 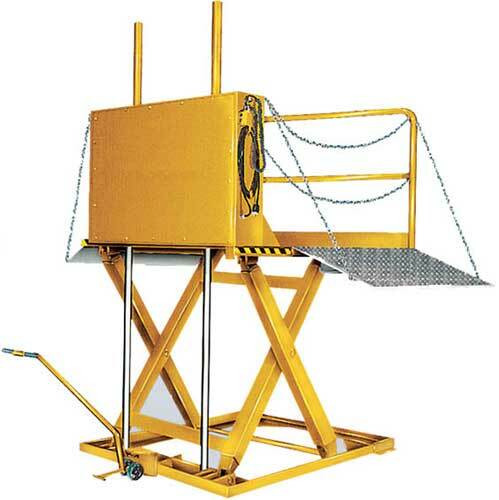 ECOA TAD-S2 Trans-A-Dok Series loading docks are high speed, high axle load, self contained mobile or stationary lifts that require no pit or concrete work. 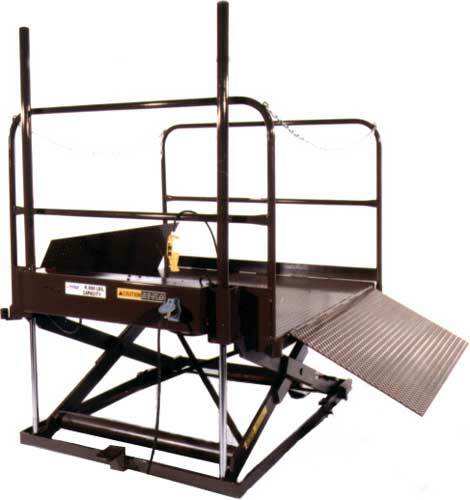 With solid steel construction, 4-way tread plate covering, a hinged approach ramp on one side, and a throw-over bridge on the other, the CMD is well suited for pass-through dock applications. 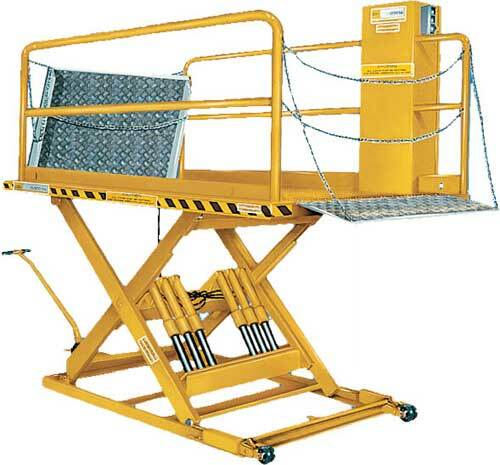 Portable, medium capacity PDQ Dock Scissor Lifts feature an exceptionally low 4.5" profile. PDQ's onboard hydraulic power unit provides consistent power, while a quick-disconnect, three phase electrical connection simplifies setup.